In FIT-PAKISTAN we select and pack the high quality Pakistani mango. It is one of the most tasty and most fattening fruits, mango is truly called the ‘King of Fruits’. A tropical fruit, it comes in as many as 1000 different varieties, each of them totally delicious. In fact, the mango originated in Southeast Asia where it has been grown for over 4,000 years. 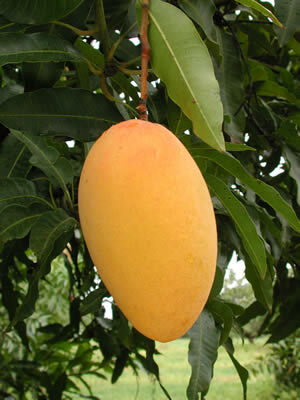 The mango tree will fruit 4 to 6 years after planting it require hot, dry periods to set and produce a excellent crop. Mango trees are evergreens that will grow to 60 feet tall.